We’ve been updating a new Cape Town photo every Monday for the past month and a half, they’ve all been pinned to our Cape Town board on pinterest, please like or re-pin if you like the images! This week I’ve chosen my favourite place to go for a walk, or a run, or meet with a friend for coffee. 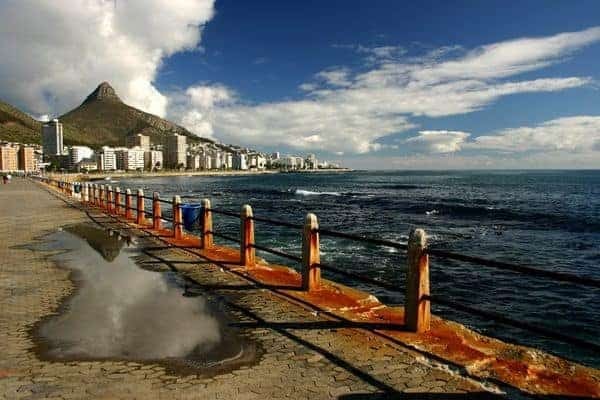 The Sea Point Promenade is one of the top places to go for things to do in Cape Town. There are always people around, it’s clean and safe and if you’re a lazy runner like me, it’s also perfectly flat!